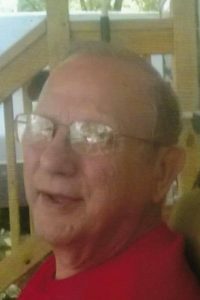 Ronald Eugene Cavalier, 77, of Sparta, IL; born on September 23, 1941 in Sparta, IL; passed away on Monday, December 3, 2018 at Sparta Community Hospital. Mr. Cavalier served as the City Clerk of Sparta for 28 years. He was a United States Army veteran attaining the rank of Sergeant and served in the White House under President Johnson. Ron was a member of the Sparta American Legion. He was preceded in death by his parents – Frank and Geneva, nee Dewitt, Cavalier. Also preceded in death by one brother – Robert. He is survived by his loving wife of over 50 years – Gladys, nee Walker, Cavalier whom he married on January 12, 1968 in Red Bud, IL. 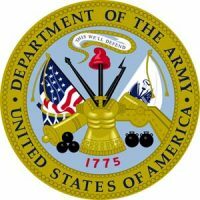 His children – Wayne (Wendy Weishaar – Fiance) Cavalier of Shelbyville, IL; Mary (Keith) Roesch of Belleville, IL; Brian (Tiffany) Cavalier of Sparta, IL. His grandchildren – Natasha Roesch; Jacob Cavalier; Emmett Cavalier; Harlan Cavalier. Two brothers – Richard; Frank. Four sisters – Mary; Caroline; Janie; Catherine. Visitation: Friends may call at Heil, Schuessler and Sinn Funeral Home in Sparta, IL on Thursday, December 6, 2018 from 4:00pm to 8:00pm and on Friday, December 7, 2018 from 9:00am to 11:00am. Funeral: Services will be held at Heil, Schuessler and Sinn Funeral Home in Sparta, IL on Friday, December 7, 2018 at 11:00am. Interment: Burial will be held in Caledonia Cemetery in Sparta, IL. May your fond memories and stories you will share comfort Gladys and her family in this time of sorrow. My sincerest condolences. Condolences from Stacey Caldwell Gibson! We share your loss with our love.